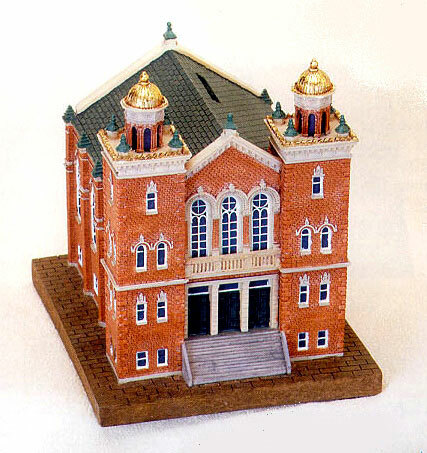 Beautiful hand painted and highly detailed replica of Congregation "Mishkan Israel" New Haven Connecticut, a complimentary addition to any collection. An in depth description is provided on the bottom outlining the name and historical significance of the Charity Box. 6" x 6" x 5" inches.